New York has such a varied landscape which spreads across the state. To the south you'll find New York City and the Hudson River's end before it meets the channels to the Atlantic, and the north houses farmland, mountains, lakes, forests and many other beautiful natural landscapes. The opportunities for vacationing families coming to the Empire State for a summer visit are vast. Whether you're looking for the tranquility of nature, the hustle-bustle of the city, want to gaze out on the roaring rapids of Niagara Falls, or anything in between, there is no lacking for options of places to choose in New York. When traveling with the family, some areas of the state are better than others, depending on the season and what kind of vacation you want to enjoy. Destinations such as New York City are great at any time of the year. On the other hand, locations such as Lake George, Long Island and, to an extent, Niagara Falls, are perhaps better suited to visit during the warmer months. The amazing Niagara Falls is really something to see if you are traveling through this region of New York. If you are never going to New York again and are anywhere remotely in the vicinity, visiting Niagara is something you might want to consider for your "to see and do" list. This is a view even the kids are sure to always remember. There are lots of tourist attractions and fun for the whole family at Niagara Falls, although I find it to be more commercialized on the Canadian side. The United States side of the Falls is primarily comprised of parks, however, in recent years, the "touristy" aspect has grown as well. There is a neat museum run by the New York Power Authority that might be of interest if you're into the science or history of it all. Additionally, there are several other museums and activities to visit at the Falls on the New York side. Standing in New York looking across to Canada. This photo was taken in April 2014. By summer, the snow should be a distant memory. While in my opinion, one of the best times to experience New York City is during the holiday season, but the other seasons are just fine to visit the Big Apple. There are a variety of museums to see, perhaps most notably for kids is the American Museum of Natural History (although, the Metropolitan Museum of Art is my favorite! And kids will likely love the armor exhibit). There is also Central Park, South Street Seaport, Empire State Building, Circle Line, Statue of Liberty, Ellis Island, Times Square (the little ones will love the huge Toys 'R Us and Disney stores that are here), Little Italy and Chinatown, to name a few. And don't forget the Bronx Zoo. This is a highlight for any family visiting NYC, one of the most expansive zoos I've seen. I've often visited the zoo during the late spring and summer months over the years. When you walk the city streets you see New York up close and personal and can feel the energy that pulses through the Big Apple. Walking the city blocks on foot (and stroller if you have little ones) is the best way to experience New York City, but in the heat this can be tough after a while. Get to know the subway and/or bus routes in case it gets too hot. Taxis are also an option, but can get expensive. Transportation is something you want to consider if you're jumping from place to place in the city. The Catskill Mountains are another terrific family getaway. Summer and winter are probably the most popular tourist seasons, so the warmer months are a perfect time to plan a trip to this region as there is lots of activity going on. During the warmer months activities to consider include rafting, boating, fishing, swimming, camping, hiking and a multitude of other fun family activities to take part of. There is much to do for a family vacationing in the Catskill Mountains. One of the more popular family getaways, Lake George, has a bit of something for everyone. It is located on the northeast side of the state and is a great summer vacation spot. There's history at Fort Henry for any family history buffs, and lots of water activities and amusement parks for those who tend to enjoy more action. When everyone's looking to relax, there are plenty of tranquil spots to swim, picnic or just spend the day outdoors with your family. I remember loving this place as a kid. With its numerous beaches stretching its perimeters, along with a mostly family-friendly environment, during the summer many families flock to Long Island to enjoy the ocean views, rippling waves and overall beach atmosphere. I've never taken a full vacation there, but over the years have taken many day trips out to the Island to spend time at the beach. Fun times! These are some of the family-friendly destinations that are in New York, but this is a short list by far. There's also the Hudson Valley, Adirondacks and Finger Lakes regions, to name a few more. 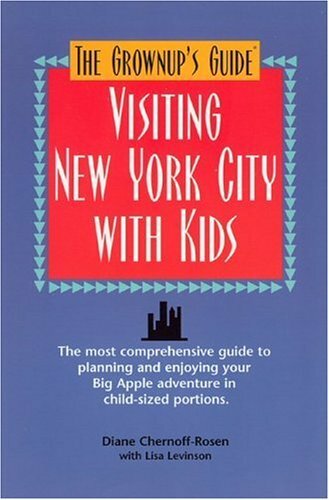 New York is a great state to visit when traveling with the family during the summer months. After considering your family's interests, one of New York's regions will likely fit the bill.